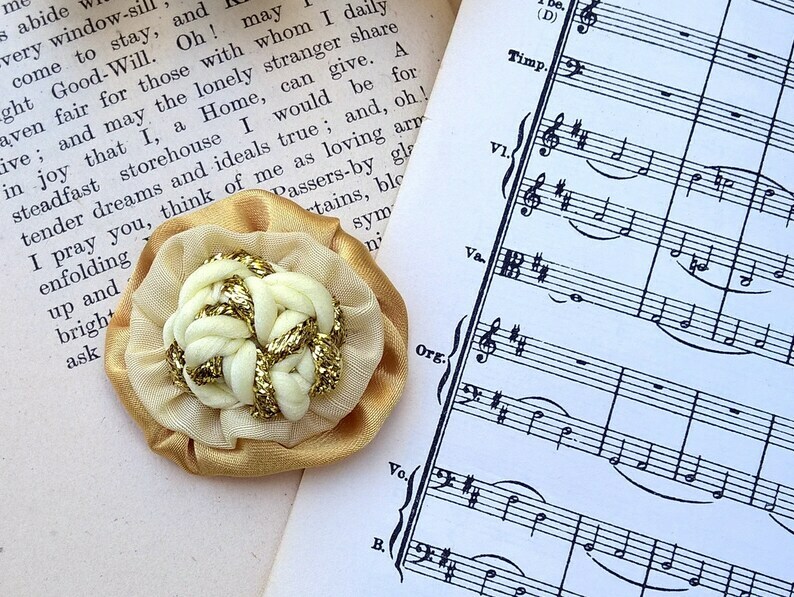 Set of six wedding lapel flowers with a Grecian feel. 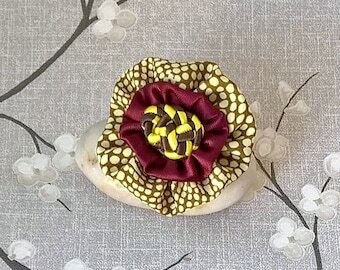 Stunningly eye catching double flower fabric brooches in gold, cream and lemon. Boutonnieres that will not wilt, leaving the perfect reminder of a special day. Beautiful gold satin fabric and pale lemon with a subtle floral pattern forms the rosettes. The centre is gold and cream twisted cord formed into a Chinese knot. 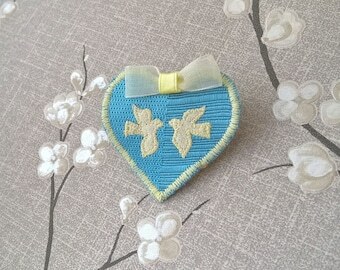 Finished with a brooch back, or a button. Just indicate your preference in the drop down menu. The button will be approx. 1.4cm - 1.7cm depending on availability. Brooch and button backs do sit differently. 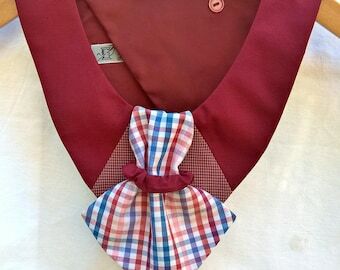 A button back, for use with a lapel buttonhole, will sit closer to the lapel than a brooch back. Each one is individually handmade so will differ slightly in pattern and placement.